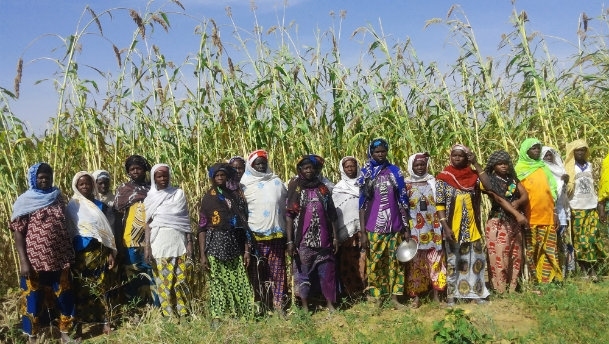 NCBA CLUSA‘s Resilience and Economic Growth in the Sahel-Enhance Resilience (REGIS-ER) project, is part of the U.S. Agency for International Development’s Resilience in the Sahel Enhanced (RISE) multi-sectoral initiative started in November 2014 and will continue until November 2018. REGIS-ER promotes sustainable livelihoods, strengthened governance, and improved health and nutrition. This project breaks out of silos in funding and programming to bring integrated program design to a susceptible region. The USAID RISE program is bringing humanitarian and development funding under a single initiative. The relationship between humanitarian and development funding is found in resiliency. By building resiliency, communities hit with disasters will be able to break out of the cycle of crisis management and need less humanitarian aid. Projects in REGIS-ER are community-driven: community members are intimately involved in program participation and execution. Highlighted projects include poultry vaccinations, water borehole rehabilitation, conservation farming techniques, and mother-to-mother groups that promote healthy pre- and ante-natal care. The REGIS-ER projects engage local governments and, in partnership, work together to build infrastructure. Physical infrastructure like new wells and field improvements will help a community become resilient. Investment in human infrastructure will lead to healthier children and soon, a healthier population. Programs that encourage exclusive breastfeeding and educate about good nutrition are beneficial and necessary for long-term sustained resiliency. Additionally, many programs encourage women’s engagement and participation in the economic sector. This integrated multi-sectoral approach breaks down siloes and promotes development that is community-driven and sustainable. This kind of approach gathers support from within communities and is more self-sustaining in the long-term. As more evidence that supports integrated solutions and community-led and driven development emerges, USAID should continue to fund these kinds of projects. The long-term benefits from community-led and community-driven development will make regions like the Sahel less susceptible to crises caused by severe weather occurrences and other disasters. This type of integrated approach is mirrored within USAID, too. In the Request for Application form for this project there is a directive to carefully track funds used in the project that come from earmarked funds (p.74): Global Climate Change, Global Health Initiative, Feed The Future, Environment, Water, and Humanitarian Assistance. The request to track and report these specific funds suggests that the RISE program is gathering funds from multiple stakeholders; a collaborative and integrated approach. Here USAID is truly leading by example. Read more about USAID’s RISE initiative and NCBA CLUSA’s work here, here, and here.